· Ancient Greece was an area that more or less corresponded to modern Greece. Then I came to Turkey. The first thing I noticed was that Turks have two words in common use for ‘Greek’: ‘Yunan’ and ‘Rum’. The first word denotes the people who live in the modern state of Greece: while the second refers to the Greek-speaking people who live (or rather, for the most part, lived) in Istanbul and Anatolia. If you want to talk about the ancient ones, it gets more complicated. The second thing I noticed as I wandered around ancient structures in Istanbul, was that there were, indeed, inscriptions in Latin (as you would expect in a city that was once the capital of the Roman Empire); but there were far more inscriptions in Greek, also pretty ancient, but clearly of a later date than the Latin ones. I don’t know about you, but I hate things like this. They make me want to find out why – so here’s where I’ve got to so far . . .
A quick peek at Wikipedia will inform you that there is quite a host of names that have been applied over several millennia to the people we, in English, are happy to think of as ‘Greek’. The one the (modern) Greeks themselves generally prefer is Hellene, which dates back to a mythological origin (somewhat similar to the role played by Hawaiiki in Polynesian cultures). The mythical patriarch, Hellen, apparently begat four sons, who respectively sired the eponymous tribes, Aeolian, Dorian, Achaean and Ionian. Our word ‘Greek’ derives from the Latin word for the Greek-speaking people who migrated to Italy in the 8th century BCE. Homer, so I’m told, used the words Argives and Danaos, to refer to the guys who came to Troy in the thousand ships launched by the face of their kidnapped princess, Helen (with one ‘l’). Persians, apparently, used the word Yunani (from Ionian), and you will remember that this is one of the words modern Turks use. Ottomans, I gather, used the word ‘Roman’ (Rum) for their ‘Greek’ neighbours (for reasons which will be examined below), and this is the origin of the other word used in modern Turkish. So . . . Luckily, we have the Julietian principle to apply here: ‘a rose by any other name would smell as sweet’. Unfortunately, it’s rather easier to agree on what a rose is, than to settle on a concept of Greek-ness which everyone will accept. Still, never let it be said that this blogger shied away from a tricky task. The people that we like to refer to as ‘Greek’ in English can trace their roots way back to tribes that settled in the ‘Greek’ peninsula in prehistoric times (2000-1500 BCE) after coming from . . . no one is very sure where. However, one point is important to stress from the outset: there is no easily defined continuity of geographical location and religion, even of language and culture, which can be traced from that time to this. The culture that most English-speakers think of as ‘Ancient Greek’ began to appear after what is often referred to as the ‘Dark Age’, around 800 BCE. For various reasons, apparently involving food shortages and violence, ‘Greek’ speaking peoples began to move into Italy and across the Aegean to Asia Minor (now Turkey) and the region of the Black Sea. At this time, there was undoubtedly a common base of language and culture which was inevitably influenced by that of the peoples with whom they came in contact in their new lands. Another point must be emphasised here. Despite the common language and culture, these ‘Ancient Greek’ peoples organised themselves in city-states, which, not infrequently, fought each other. There was no overall coming-together into anything we would recognise as a nation, let alone an empire. While there were loose confederations of city-states when the need arose to face a common enemy (such as the Persians), these federations themselves fought each other in struggles for supremacy. I have no intention of trying to detail the to-ings and fro-ings of these city states (Athens, Sparta, Ephesus, Miletos and so on) and leagues (Delian, Peloponnesian, Ionian etc). It is sufficient for my purpose to note that there were, in what we like to think of as ‘Classical Greek’ times, city states on both sides of the Aegean Sea, and that those on the eastern coast made as great a contribution to the civilisation as did those on the so-called ‘Greek mainland’. There seems to be much debate about the setting of dates for ‘classical’ Greek civilisation. While some scholars claim a continuity from the Minoans (c. 2700 BCE) through to the adoption of Christianity (4th century CE), others prefer to focus on important changes that create distinctly different cultural and political entities. Should we consider the currently dominant USA as part of the continuing supremacy of English culture and civilisation; or is the US a distinct entity which superseded the British Empire as the major world power? I ask merely to illustrate the nature of the problem. Whatever your answer, it is clear that the centres of ‘Greek’ civilisation and culture continued to move east. Alexander the Great, who hailed from Macedonia, conquered Syria, Egypt, Mesopotamia and Persia, even venturing as far as India. It’s easy to overlook the fact that the guy died when he was 32, and his so-called empire lasted 10 years at the most. Nevertheless, his conquests did usher in the Hellenistic Age, whose cultural centres were Antioch (in modern Turkey) and Alexandria (in Egypt). The language and culture of this age we tend to consider ‘Greek’ – but how ‘Greek’, in fact, were they? Coming back to Greece itself (in the modern sense of the word), ‘mainland Greece’ passed from Macedonian control into the hands of the Roman Republic / Empire in 146 BCE. Undoubtedly ‘Greek’ civilisation was enormously influential in helping to shape the culture, religion and political institutions of the Roman Empire. Nevertheless, again, it must be noted that political control was in the hands of the Romans, and the language of power was Latin. Well, I’m skipping a few more centuries while Rome held indubitable sway over most of the lands under consideration here. We’re passing forward to 330 CE when the Roman Emperor, Constantine I built his ‘New Rome’ on the site of the earlier city of Byzantium, and it became Constantinople. At this point, there’s no doubt that we are still talking about the Roman Empire. But, over the next few years, strange things happened. First, Constantine began to tolerate Christians; then his successor, Theodosius I, made Christianity the state religion in 380 CE. Parallel to the spread of the new religion, the city of Rome lost its political dominance and ‘Greek’ began to bubble back to the surface as the language of Constantinople, and hence the Roman Empire. So, the Greeks are back, you may think – but I’m sorry, it ain’t that easy. Despite the fact that they were using ‘Greek’ as their language, these people (I’m avoiding the use of a label here, for reasons which will become clear as we go) perversely continued to think of and call themselves Romans. Their neighbours to the east, Persians and the emerging Islamic world, also apparently continued to think of them as ‘Romans’. It was in the West, however, that serious problems of perception and nomenclature began to emerge. First we have ‘The Fall of the Roman Empire’, often dated at 476 CE. 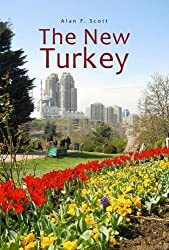 But clearly those Easterners continued to think of themselves as the Roman Empire until their pretensions were finally put to rest by the Ottoman Turks in 1453. Then we have the ‘Christianisation’ of the Roman Empire, which was a good thing, of course, since it put an end to all that persecution and feeding to the lions and what not (which was clearly a bad thing). But on the other hand, it also put an end to the glorious ‘classical’ civilisation of Greece and Rome (pagan and polytheistic, of course), which assumed greater and greater significance and influence in Europe after the Renaissance – so perhaps ‘Christianisation’ wasn’t such a good thing. And then there was the emerging rivalry between the Church of Rome and their Eastern cousins in Constantinople, which resulted in the ‘Great Schism’ in 1054. From this point it was clearly impossible for Westerners to think of those guys as ‘Roman’. Not only was the Western Church ‘Roman’, but a kind of virtual ‘Holy Roman Empire’ had begun to emerge in the 9th century, which didn’t want any other claimants to the title (never mind that the claim may have had a better foundation). The best way to undermine their claim was to highlight the errant nature of their brand of Christianity, and the fact that their language was Greek, not Latin. So, Europeans at this time tended to refer to them disparagingly as ‘Greeks’. This usage continued pretty much into the 19th century, despite the fact that some scholars had begun to employ the word ‘Byzantine’ for the Greek-speaking, Eastern Orthodox empire centred on Constantinople. So where did that word come from? Well, we know that it was the name of the ’Greek’ city whose site was taken over when Constantine wanted a location for his ‘New Rome’ in the east. But that was 330 CE – why bring back a name that had long since fallen out of use? It’s a bit like calling Paris, ‘Lutetia’, apparently the name it went under in Roman times. I love Lutetia in the spring time. Huh? See, the thing is you’ve been calling this Roman Empire, ‘Greek’ for centuries, which was no big problem so long as the only other ‘Greek’ thing you had to worry about was a classical civilisation that had existed a couple of millennia earlier. But suddenly, in the 1820s, you get the opportunity to assist the disintegration of a contemporary empire whose continued existence is getting in the way of your own imperialist expansion, namely, the Ottoman Empire. Unfortunately, your big opportunity involves helping to establish a new state on the Mediterranean peninsula you like to think of as the home of ‘Greek’ civilisation, and what can you call this new kingdom if not ‘Greece’ – especially since, by doing so you will guarantee the support of your own educated elite who have a well-entrenched love of everything (Ancient) ‘Greek’. Incidentally, as noted above, the modern ‘Greeks’ don’t use a word in any way resembling ‘Greece’ when speaking of their own country. But in English, at least, you’ve now got three ‘Greeks’: ancient, medieval and modern! None of them having much more in common with each other than do the ancient Germanic tribes, Anglo-Saxons and the modern United Kingdom. Obviously, the best solution was to rename the most inconvenient of the three: hence the reappearance of the word ‘Byzantine’ to refer to the eastern Roman Empire that had continued to exist for a thousand years after the fall of the Western one. Hey presto! Talk about rewriting history! Well, after reading that meandering and staggeringly outrageous summary of 5000 years of history, you may be forgiven for asking, what’s your point, mate? For that I’d like to return to the words of my title for this piece: ‘Timeo Danaos et dona ferentes’ The words were reportedly spoken by the Trojan priest Laocoön warning his people of the dangers of the Trojan (or more properly, ‘Greek’) horse. They didn’t listen, of course – and the main reason was because shortly after uttering his warning, Laocoön and his two sons were strangled by monstrous sea serpents, a misfortune interpreted by contemporaries as a sign of divine disapproval. You may know the statue, which is quite famous. Laocoön uses the word ‘Danaos’, usually translated into English as ‘Greek’ – and we may take the fate of him and his sons as a warning to exercise caution when we ourselves use the word ‘Greek’. 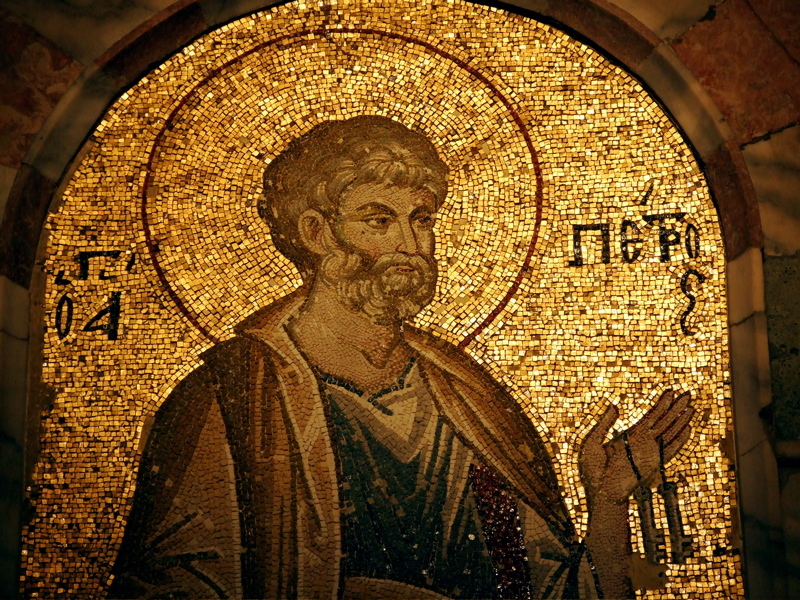 This entry was posted in Byzantine Empire, Christian history, Greek culture and history. Bookmark the permalink. from wikipedia http://en.wikipedia.org/wiki/Roman_Empire “Although Latin remained the most widely spoken language in the West, through to the fall of Rome and for some centuries afterwards, in the East the Greek language was the literary language and the lingua franca. The Romans generally did not attempt to supplant local languages. They generally left established customs in place and only gradually introduced typical Roman cultural elements including the Latin language. Along with Greek, many other languages of different tribes were used but almost without expression in writing. So Greek language didn't just re-appear. It was widely used in science and administration. Also, although Romans conquered Greek territories they didn't extinguish local GREEK people. Greek population continued to live in their homeland ( in fact until today). 'Yes, thanks for that. I didn't mean to suggest that Greek 'disappeared and 'reappeared'. Clearly the Romans would not have had the numbers to impose Latin as an everyday language on the local inhabitants. We can see from the inscriptions on the base of the Egyptian obelisk in the old hippodrome in Istanbul that Greek and Latin existed side by side. However, I think the analogy with England after the Norman conquest is not a bad one. Undoubtedly the 'imported' aristocrats and leaders would have used French as their first language – but over time the vernacular English reasserted itself, albeit, in that case, somewhat altered. It's pretty clear that, although the 'Byzantines' considered themselves heirs of the Roman Empire, Latin ceased to be used, and such bi-lingual inscriptions are not to be found after a certain period. And of course, my main point was that our use of the words 'Greece' and 'Greek' in English has led us, and continues to lead us, into some difficulties.